I’m racing against me. As long as I come across the finish, I’ll be okay. I went to public school, and it shaped me as a musician. I never want to try to be a spokesperson for health and wellness because I most definitely am not the most in shape person in the world. I grew up in the ’80s, and there was no bigger group than New Edition in R&B. I broke my piggy bank so me and my mom could go to a New Edition concert together. I feel as if I’ve been able to do so many things I never expected to do. I don’t like to be a preacher or anything, but the one thing that I’ve learned is that you truly are what you eat. I’m not in the best shape, but I want to prove to myself I can do something that seems insurmountable and inspire others by showing them no matter where they are in their fitness goals, they can do it, too. I’m always happy for people when I see God blessing them the way he’s blessed me. I want to make sure I continue to make good music that my mom and everybody around me can be proud of. I feel like I have been totally blessed with everything that I have done. I don’t have any concerns about my weight. I’ve always been healthy. I eat right. I’m just a big dude. I’ve always been happy with the person I am. So that will never change. In life we all go through different situations that cause you to reflect. I had the opportunity to be married to a wonderful person. And for some reason two good people couldn’t make a good thing work. But in life, the one thing that I love about being an artist is that you can sometimes use the pain that you go through to make beautiful things. I’ve toured the world with David Foster and all kinds of different people. It’s been a great ride, and I don’t think it’s about to stop any time soon. When one person does something that works, everyone else wants to do it. So it didn’t surprise me at all to see people come with different versions of ‘American Idol’ and a lot of them are exactly the same but with different twists. The only thing about my life that’s really changed is the fact that a lot of people know me now. I’m still the same person. If you eat good, you feel good. I would encourage every body else to do the same. I’ve been blessed because there are a lot of great singers out there that didn’t make it past their first album. All of them had so much to offer us as far as, you know, knowledge in the music industry, and especially Randy and Paula because, you know, they’ve been artists. 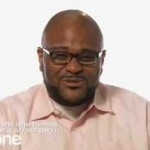 Christopher Theodore Ruben Studdard, best known as Ruben Studdard, is an American R&B, pop, and gospel singer. He rose to fame as winner of the second season of American Idol. He received a Grammy Award nomination in December 2003 for Best Male R&B Vocal Performance for "Superstar."